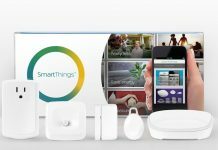 When going through all of the different options for smart security cameras in your home, a crucial decision is how you’d like to have your cameras connected. There are 3 very distinct types of camera connections, and each choice has benefits and consequences. This blog dives into the 3 main types of security camera connections and hopefully will help you figure out the best type for your home. The most traditional security system for a home is the fully-wired option. These are like the old black and white systems you saw popping up in luxury homes throughout the 1990s (and continue to see today). The only difference is that the pictures are broadcast in colour now. The main benefit of a fully-wired home security setup is simple—it’s always running (unless your power is out). A 24 hour signal means that your action is always being recorded, and you don’t need to worry about losing a camera feed in the middle of the night (or worse, due to a dead battery while you’re away on vacation). Wired systems also tend to be much cheaper than semi-wireless and wire-free options if you are budget conscious. There are a handful of reasons why a wired camera might not be the right choice for your home. Wired cameras tend to broadcast their signal through a coaxial cable. Typically, coaxial cables cannot carry sound, so if you need audio where your camera is, you’ll have to find wired cameras with that capability. It’s not very hard, as many of the wired camera sets out there have one or two cameras that can capture limited audio anyway. Coaxial cables, however, also do not have the ability to power a camera. This means that you’ll have a second wire with your wired camera systems for power, so you’ll have to install your camera within range of an outlet to ensure it’s always plugged in. Wired cameras also must have their coaxial camera hooked up at the base at all times (since they broadcast the signal that has to be decoded there), meaning that installation may take longer since you will be feeding wiring from your camera presumably through the walls to the base. There is also the potential of signal degradation from the length of a coaxial cable. However, this issue typically only occurs at really long distances. A coaxial cable’s signal range is around 300m before the signal really starts to weaken and video quality suffers. This is important to note, however, as a wired signal also carries weaker quality on average than a wireless signal. 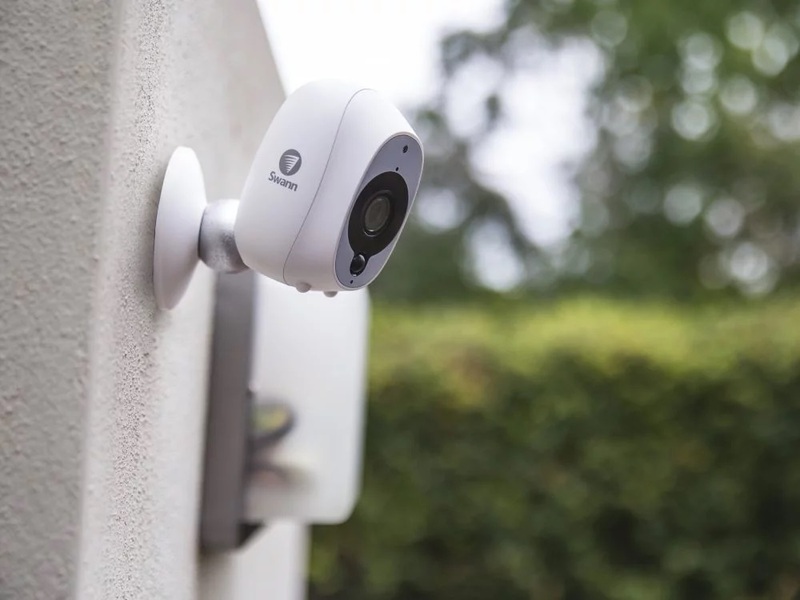 A semi-wireless smart security camera is sort of the middle-ground solution between something that is wired and something that is completely wire free. These types of camera systems are out there, but they aren’t as common as the other two types of systems. That said, if you find one and you’re wondering about the benefits and consequences, here’s a quick overview. Semi-Wireless Smart Security Cameras can provide the camera-based benefits of a wire-free system. You don’t have to worry about feeding a coaxial cable back to a base because the camera itself is wireless. The cameras typically pick up audio as well, which they will transmit back to the base. Recordings with these cameras are also done through NVR (Network Video Recording), which means that they perform at the source and communicate the completed signal back to the base. As you might expect, there are some interesting cases against owning Semi-Wireless smart security cameras. 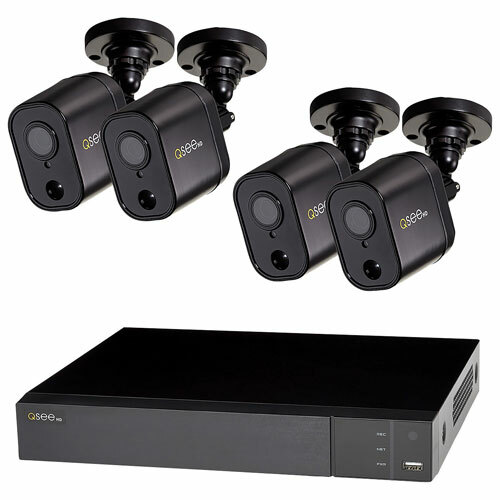 While you will enjoy the benefit of a wireless connection back to the base (which means no coaxial cable feeding), these cameras still have to be plugged in at a power source. This means that where you can install them is again pretty restrictive (though much easier than a fully-wired system). In addition, one of the oddities of the semi-wireless systems that are available at Best Buy right now is that no matter which brand you choose from (Swann, Defender, Night Owl, or Q-See), they’re all 4 channel systems, which means that they will only support 4 cameras at max. 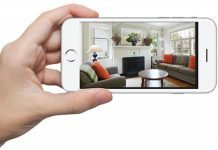 This is great if you have a smaller home or only want to monitor a couple of sections of a larger home, but when you consider that there are options out there for up to 16 cameras (and some of those options are completely wire free), you might reconsider based on the needs of your home. 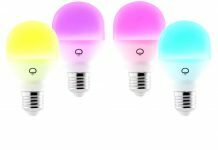 The last smart home security system type is the wire-free camera. 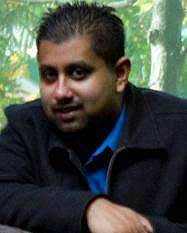 This is the type that you are starting to see gain more traction in the home security market. The idea of “wire-free” is exactly that. You’ve got your base, and then you’ve got your battery powered cameras. Wire-Free camera systems solve a lot of the headaches that the other two systems might have brought you, including wiring. Cameras in a battery powered system have no wires whatsoever, which means that you can basically place them anywhere. 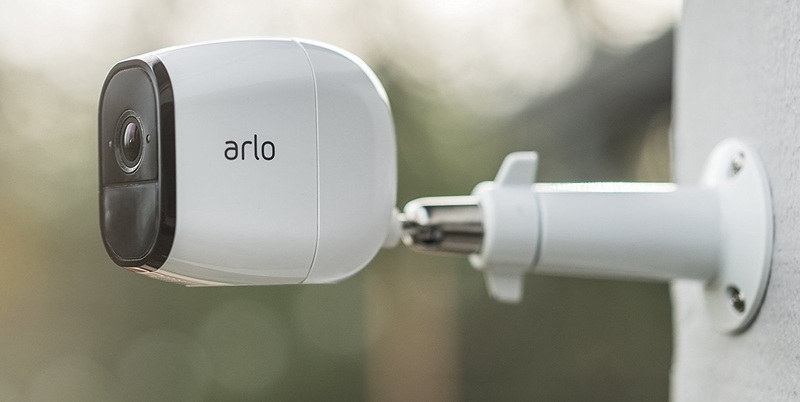 Companies like Arlo have also figured out ways around the need to get up on ladders and replace these batteries by releasing a solar panel that you can use to power a high up or hard to reach camera instead. Wire-Free cameras also only require as much installation as is needed for you to get up on a ladder and mount them, as nothing needs to be fed back to a base. Wire-Free Camera Systems do have their downfalls as well—they’re much more expensive up front than the other two types of systems, and they require battery maintenance in order to keep on functioning. As I said above, solar panels are possible, but costs will mount pretty quickly if you decide to go solar for each camera. All of the wireless cameras in the system must also be connected to the same network for the base to pick up their signals, meaning that if you’re putting your cameras out in areas where your home’s wireless signal is weak, you’ll need to extend that range somehow (through either a range extender or an indoor/outdoor Wi-Fi Mesh system). I have to admit that I feel that the benefits of a wire-free system far outweigh the consequences, and that unless you have a really large property line that you need to keep surveillance on, you won’t have to look at things like signal extension costs. 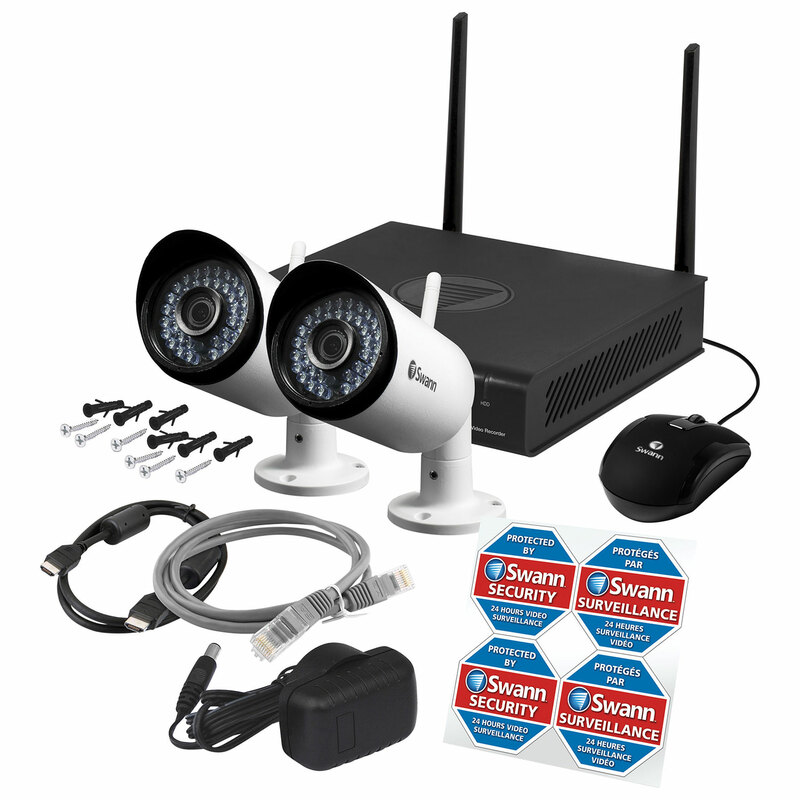 That’s a quick look at the 3 different types of home security wireless systems. If you’ve decided which system is right for you, have a look at all the different options available now for you at Best Buy.